I’m an avid reader. Call me a book nerd if you want, but I just can’t get enough of the written word. Maybe it is because I love to write so much, maybe it is because I love finding a typo or grammar mistake in something published, or maybe I just can’t get enough of really interesting stories. Books keep my brain active and make me see things in a new way. 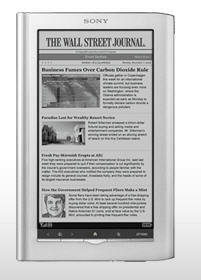 I had seen eReaders come out that allow you to read a book digital. At first, I was completely against this. “Nothing can replace the feeling you get when you have a book in your hand,” I thought to myself. I loved the way you flip the pages and the smell a book gets when you have had it a long time … don’t judge me. But that all changed last Christmas when PoppaNut gave me a Sony Reader. This thing is amazing. You can download books, newspapers, magazines, audio books and more. It has a dictionary built in, so you can look up unknown words as you read, a feature this book nerd happens to appreciate. You can place notes in it or bookmark a page. It’s like a normal book on steroids! And the best part: NO GLARE! I can read on the beach with no problem at all. In fact, I have taken it with me to the beach and read while PoppaNut took out the Jet ski. I’m obsessed! The first book I downloaded was called “Barefoot.” I had never heard of the book before, but Sony graciously suggested it to me when I was on the downloading site. Brilliant, Sony. You are right. I do love this book. How do you know me so well? 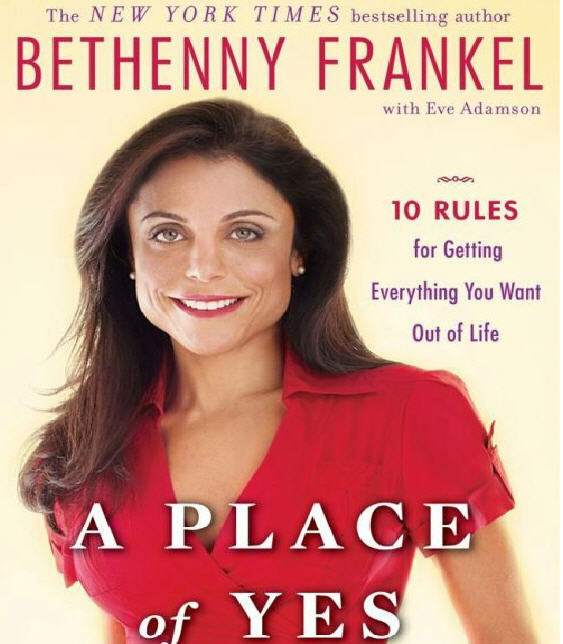 Next, it was on to Bethenny Frankel’s “Place of Yes” book. Now, when I downloaded this one, I had no idea that it was a self-help book. After reading my comment about loving the smell of old books, you probably think I need a self-help book, but I beg to differ. Anyway, I love watching Bethenny Frankel on “Bethenny Ever After” and “Bethenny Gets Married” on Bravo, so I gave it a read. I loved this book too! She was funny while offering some advice. And I love that she didn’t pretend that she had everything figured out, something you know about her if you watch the show. 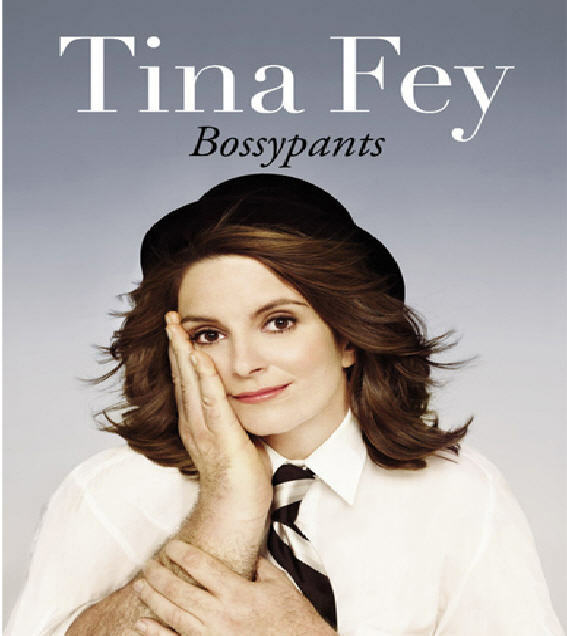 Next up: Tina Fey’s “Bossypants.” Now, funny is not even the word for this book. I could literally pee my pants reading this one, and you know that can happen in my family. It is about Tina’s life growing up and how she made it to SNL as a writer. I’m only about half way through so I don’t know how it ends … well, I know she becomes wildly famous, because it is based on her life … but I don’t know the rest of the stories she reveals. I’ll be sure to let you know how it goes. I’ve already downloaded the next book I’ll be reading. It is Shirley MacLaine’s “I’m Over All That.” I caught Shirley talking about her book on Oprah, and it sounds like she had one wild ride in Hollywood. I can’t wait to read that one. I also recently saw James Frey on Oprah (when Oprah was still on). He is the author of “A Million Little Pieces” who was put through media scrutiny when it came out that his book was not a true story as he had promoted it as. With all the press attention around that book, I have always wanted to read it to make up my own mind about it. Perhaps I’ll read that one after Shirley’s book. And that’s life in a nutshell … curling up with a digital eReader is even more amazing than those smelly library books. You should try it too!